I’d like to thank Softsoap® for sponsoring this post. Whether it’s fully enjoying each bite of a meal, reveling in the beauty of a pink sunset, or swooning over the scent of the new hand soap in her bathroom, this girl definitely knows what’s good! I have to admit, I also smiled the first time I smelled new Softsoap® Earth Blends Moisturizing Liquid Hand Soap. The pink grapefruit and cucumber scent smells so fresh, sweet and clean. It’s absolutely amazing. 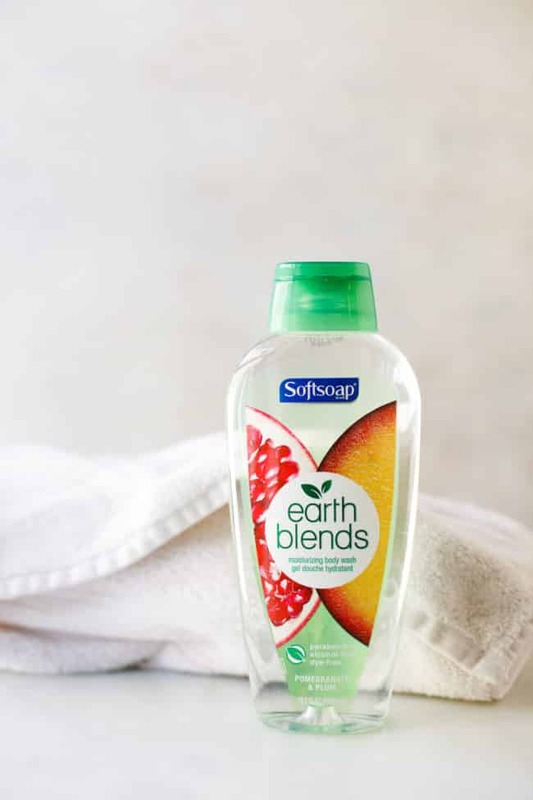 It’s part the new moisturizing Softsoap® Earth Blends line, available only at Walmart. These products are paraben-free and dye free, and also made from biodegradable cleaning ingredients. That means you can cleanse effectively while still maintaining your skin’s natural moisture. I love that. 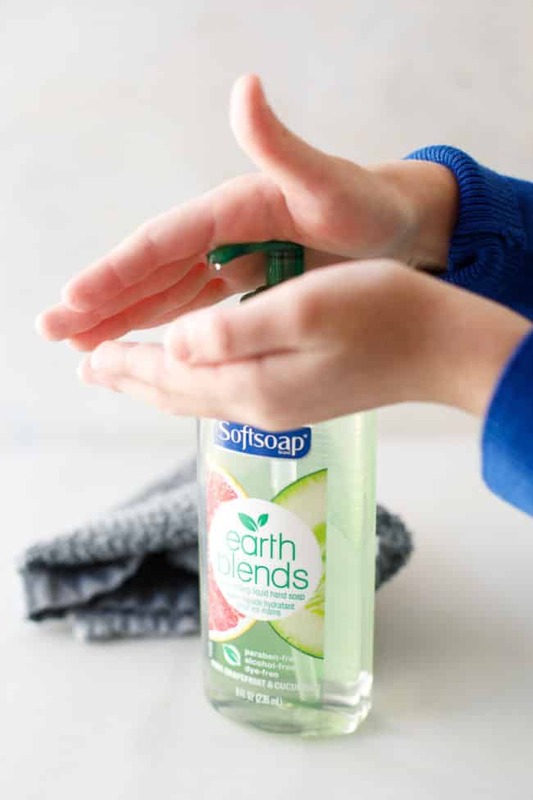 I also like that Softsoap® Earth Blends Hand Soap only contains 10 ingredients. That’s pretty important to me since those cleansing bubbles are wrapped around my greatest treasure—my family! To be perfectly honest, it just makes sense to choose the product with fewer ingredients. I’ve come to rely on Softsoap® for an effective and trustworthy clean, and I’m a huge fan of this new line available only at Walmart. When you’re finished with the bottle, remove the cap to recycle. You’ll find the How2Recycle label on the bottle for detailed instructions. 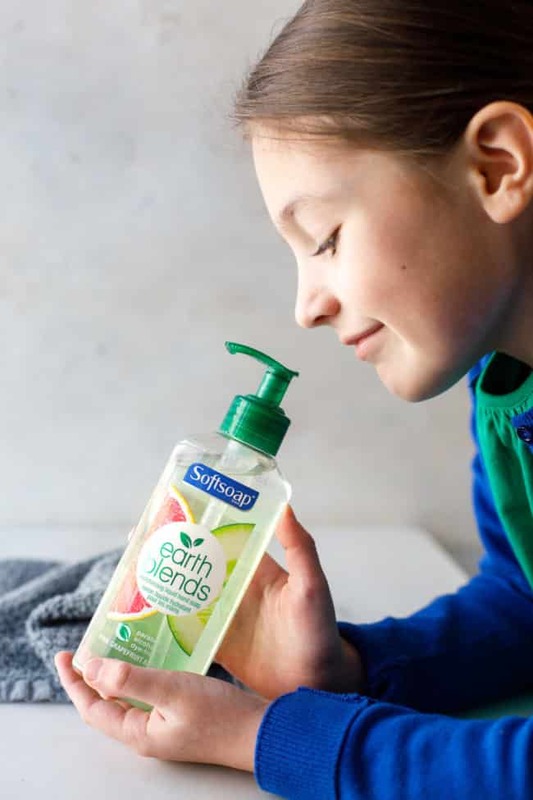 I’ve told you how much I enjoy the New Softsoap® Earth Blends Hand Soap, but, there are two other products in the line that I’m also loving. 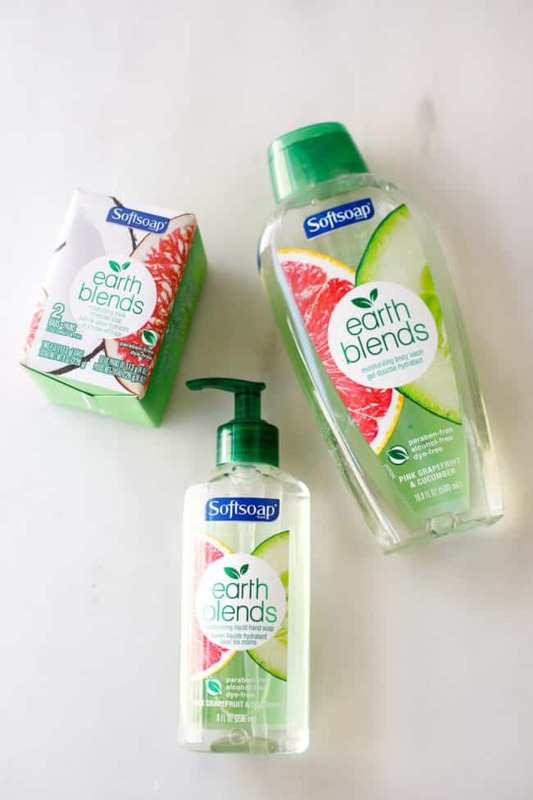 You can lather, cleanse and rinse with Softsoap® Earth Blends Moisturizing Triple Milled Bar Soap. 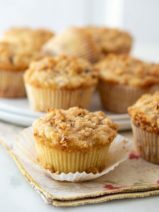 This comes in two energizing scents: Pink Grapefruit and Cucumber and Coconut and Fig. This soap lathers up so quickly, and it’s my husband’s new favorite soap. 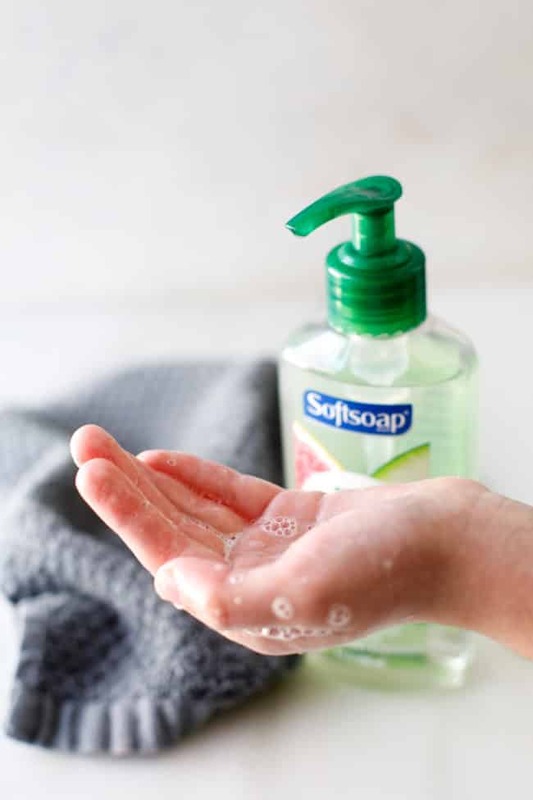 Finally, the product that I’m the most excited about is the Softsoap® Earth Blends Moisturizing Body Wash.
I’m a bit of a body wash snob, and I’m pretty picky about which body cleansers I choose to use. I’m over the moon with these delicious and refreshing scents, including Pink Grapefruit and Cucumber, Coconut and Fig, and Pomegranate and Plum. My current favorite is Pomegranate and Plum, but I truly adore all three scents and love that this product leaves my skin feeling clean, refreshed, and moisturized. What’s even better is that you don’t have to make a special trip to buy Softsoap® Earth Blends products. They are available only at Walmart, which makes it so convenient to pick some up on your regular weekly shopping trip. 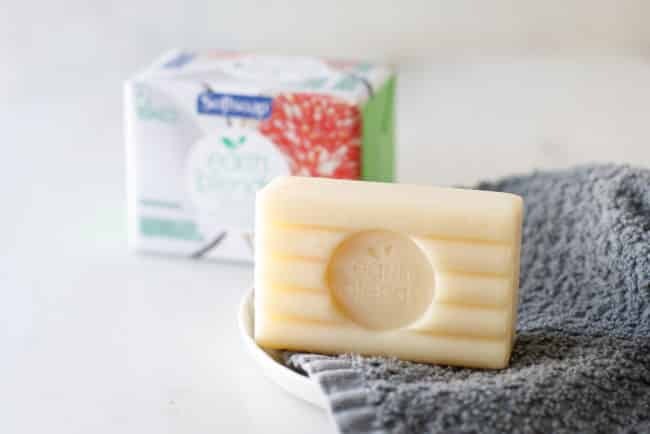 Finally, I’m SO eager for my readers to try these products, so be sure to hop over to my Twitter feed where you can Retweet for a chance to win one (1) package of Softsoap® Earth Blends! Best luck! JUST RETWEET THIS TWEET TO BE ENTERED! No Purchase or Mobile Usage Necessary to Participate or Win. Eligibility: Open to legal residents of the 50 United States or the District of Columbia, 18 years of age or older as of entry date, who have a Twitter account. Employees & their immediate families (spouses, parents, children, & siblings & their respective spouses) & those living in the same household of each of Colgate-Palmolive Company (“Sponsor”), Cohn & Wolfe & its divisions, subsidiaries, & affiliated companies, Project Support Team, Inc. (“P/S/T”), & each of their respective parent companies, subsidiaries, affiliates, & advertising/promotion agencies (collectively “Released Parties”) are not eligible to participate. This Giveaway is subject to all applicable federal, state, & local laws & regulations. Void where prohibited. To Enter: No purchase is necessary to enter or win. Twitter followers of the Influencer’s Twitter Feed will receive a Tweet at the beginning of the promotion period inviting followers to retweet and/or @reply to Influencer’s Tweet. #Sweepstakes must be used in entry posts to be eligible to enter. Subject to Twitter Terms of Service & except where otherwise prohibited, all winning entries become property of Sponsor & will not be returned. Entries featuring 3rd party names, trademarks, and/or other material subject to 3rd party rights are prohibited and Sponsor reserves the right to remove such entries. 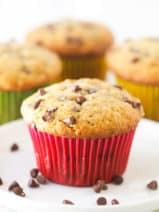 Entries containing obscene, offensive, or any language communicating messages inconsistent with the positive images to which Sponsor wishes to associate will be void, and Sponsor reserves the right to remove such entries. Duplicate and/or substantially similar entries as determined by Sponsor in its sole discretion, and/or incomplete entries are ineligible. All entries must comply with the Twitter Terms of Service & Twitter Rules available at www.twitter.com. Standard text messaging and/or data rates apply to entrants who submit entries or opt to receive Sponsor’s Tweets via a wireless mobile device. Wireless service providers (“provider”) may charge for airtime for each standard text message sent & received. Call provider for pricing & service plan before mobile device participation. To participate without receiving Tweets on your mobile device, deactivate your mobile phone from your Twitter account. Released Parties are not responsible for late, lost, stolen, incomplete, misdirected, delayed, garbled, damaged, inaccurate or undelivered Tweets, Twitter follow requests, direct messages, emails or entries, or for telephonic, human or computer failures, problems or errors, interruptions in service, Twitter or otherwise, due to system upgrades, repairs, modifications or other causes, failures or malfunctions of connections, satellite, network, cable, Internet Service Provider (ISP), phones, phone lines or telephone systems, traffic congestion on the internet, technical or mechanical malfunctions, or other malfunctions or errors, whether caused by equipment, programming, human error or otherwise relating to or in connection with the Giveaway, including, without limitation, errors which may occur in connection with the administration of the Giveaway, the processing of direct messages, Tweets, emails or entries, the announcement of the prizes, the cancellation or postponement of the Giveaway or of the Promotion Period, for any injury or damage to participant’s or any other person’s computer or other device relating to or resulting from participation in this Giveaway, or for printing, typographical, human or other errors appearing in these Official Rules or other Giveaway-related materials. Winner Determination: Winners will be determined from valid entries received during the Promotion Period. Winners will be randomly chosen from collected valid entries. Winners will be announced on the Influencer’s Twitter Feed and/or contacted via Direct Message and/or email following the end of the Promotion Period. In the case of a dispute over the identity of an entrant, the Authorized Account Holder of the Twitter account used to enter will be deemed to be the entrant. “Authorized Account Holder” is defined as the person who is assigned to a Twitter account by www.twitter.com. Winners will be required to respond as instructed via Direct Message and/or email within (3) days of issuance of notification or other timeframe to be designated by Sponsor & provide their prize fulfillment information including, but not limited to, the following: First & Last Name, Email Address, Street Address (no P.O. Boxes), City, State, Zip Code, Phone, Age, & verify eligibility per these Official Rules. Non-compliance with any of the foregoing or failure to respond within the designated timeframe may result in disqualification & awarding of prize to a runner-up winner. If any prize notification or prize is returned as undeliverable, winner will be disqualified & an alternate winner may be selected. Odds of winning depend on the number of eligible entries received during the Promotion Period. (1) Prize: A prize corresponding to the Promotional Period winning submission, as determined by Sponsor, will be awarded. Prize can include Softsoap® Earth Blends Moisturizing Body Wash in Pink Grapefruit & Cucumber, Coconut & Fig, Pomegranate & Plum, Softsoap® Earth Blends Moisturizing Liquid Hand Soap in Pink Grapefruit & Cucumber, Coconut & Fig and Pomegranate & Plum and Softsoap® Earth Blends Moisturizing Triple Milled Bar Soap in Pink Grapefruit & Cucumber and Coconut & Fig (Maximum Approximate Retail Value “ARV” of each Prize=$20). Federal, state, & local taxes & all other expenses not specified herein are winners’ sole responsibility. 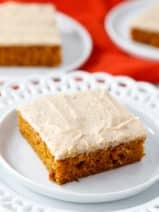 Miscellaneous: No transfer, assignment, cash redemption or substitution of prizes (or portion thereof) except by Sponsor at its sole discretion due to prize unavailability or causes otherwise determined solely by Sponsor, & then for a prize (or applicable portion thereof) of equal or greater value. By participating, entrants agree to be bound by Official Rules & 1) Attest that their entry is an original, personal creation that meets all eligibility requirements; 2) Agree that Released Parties & their designees & assigns: a) shall own winning entries (& all material embodied therein, including, but not limited to, any photo submissions), subject to Twitter Terms of Services & except where otherwise prohibited, & shall have perpetual, worldwide right to edit, publish, exploit & use winning entries (or any portion thereof) in any way & in any media for advertising and/or trade purposes and/or for any other purpose in any media or format now or hereafter known without further compensation, permission or notification from/to entrant or any 3rd party; b) shall have the right & permission (unless prohibited by law) to use entrant’s name, voice, city/state of residence, photograph and/or other likeness for advertising, trade and/or for any other purpose in any media or format now or hereafter known without further compensation, permission or notification & that such use shall not violate the rights of any 3rd parties & shall not violate any applicable federal, state or local laws or ordinances; c) shall have the right to disqualify any entries that they deem to be obscene or otherwise not in good taste; d) shall have no liability & entrant will defend, indemnify & hold harmless Sponsor & Released Parties from & against any liability, loss, injury or damage of any kind (including attorney’s fees) to any person or entity including, without limitation, personal injury, death or damage to personal or real property, due in whole or in part, directly or indirectly, by reason of the acceptance, possession, use or misuse of a prize or participation in Giveaway & any prize awarded in connection herewith. Sponsor reserves the right, in its sole discretion, to modify, suspend, and/or terminate this Giveaway (or portion thereof) for any reason, including if virus, bugs, non-authorized human intervention or other causes corrupt or impair the administration, security, fairness judging, or proper play of Giveaway &, if Giveaway is terminated or suspended, award prizes in a judging from among all non-suspect entries received prior to suspect event requiring such modification, termination, or suspension. Entrants agree that, in the event of any dispute that cannot be settled, they will pursue only individual claims and not any class-action status, and further agree that the venue and laws of the State of New York will govern, without regard to its choice of laws provisions. CAUTION: Any attempt to deliberately undermine the legitimate operation of this Giveaway is a violation of criminal & civil laws & should such an attempt be made, the Sponsor reserves the right to seek damages (including attorneys’ fees) and/or other remedies from any such person(s) responsible for the attempt to the fullest extent permitted by law. Winners List: For winners’ names, please email Allexi Spinella, Allexi.Spinella@cohnwolfe.com outlining winners and addresses by 6/15/2018.